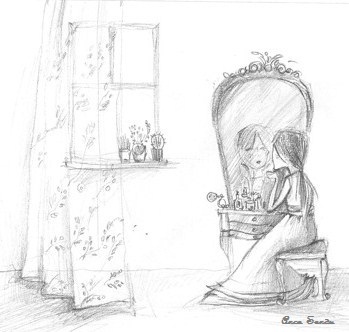 I wonder what you see when you look in the mirror? I wonder if you see who you really are? I wonder if you look into your eyes with love? I wonder if you take the time to look even deeper? I wonder if you see the Truth? I wonder if you have accepted that you are a magnificent expression of God? I wonder if you really “get it”? I wonder why you would live this glorious life any other way? expression of love we share each week. Enjoy each moment of this Season. That is the best present that you can give all!!! Wow, what a wonderful reflection! Thank you! So glad it reflected the wonder in you! Glad you found this full of wonder, Heather! Felt the same upon visiting you! Thank you for the hugs, Nikki! Returning them to you! Yes, to live in remembrance of “who we really are” is such a gift to God. How better to glorify Him? Gonna’ run to your post now!